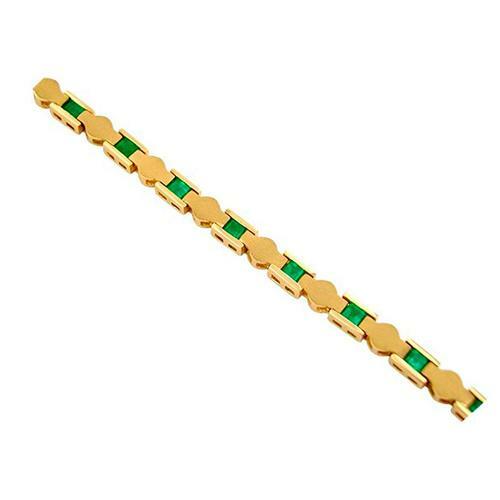 This beautiful 18K gold emerald bracelet is a stunning jewelry piece with the perfect combination of colors, surfaces and shapes. The 13 emerald cut emeralds are set in rectangular bezels with the traditional high polished ending, and joined by circular shape links with a very fine sandblast finished. This result in a beautiful contrast of three, very different, elements and one strong look for the bracelet.